An ideal specimen tree, white, pale pink or lilac coloured flowers bloom throughout summer. Attractive foliage consisting of deep green leaves turn to red-burnt orange in Autumn. Upright, vase-shaped crown makes the tall-growing selections well-suited for street tree planting. 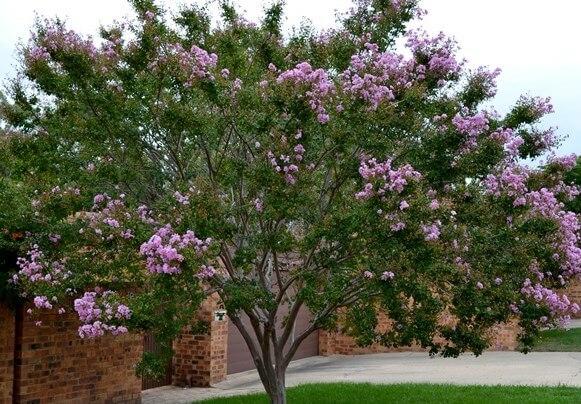 Crepe myrtle grows best in full sun with rich, moist soil but will tolerate less hospitable positions in the landscape once it becomes established. Highly recommended for urban and suburban areas. Pruning should be done in late winter or early in the spring before growth begins because it is easier to see which branches to prune.